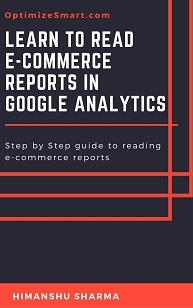 If your company run several websites, sub-domains and/or mobile apps to promote various brands/regional business units and you want to understand the overall performance of your company and also compare the performance of individual brands/ business units to each other then you need to set up rollup reporting in your Google Analytics account. Rollup reporting is simply the reporting of data in aggregated form from multiple digital properties (websites, mobile apps). For example, if you have setup separate websites for each country (abc.com, abc.co.uk, abc.com.au,abc.in etc) then through rollup reporting you can aggregate all of your websites data in one view and see aggregated global performance metrics and/or compare the performance of various country specific websites to each other. Rollup reporting helps you in understanding the overall performance of all of your company’s websites and/or mobile apps. 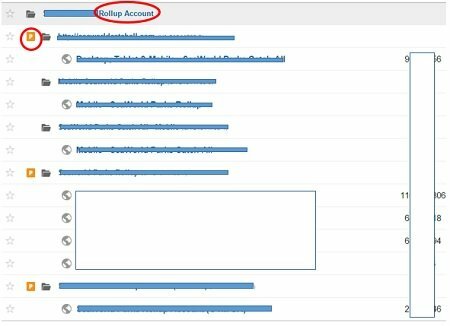 Through rollup reporting you can see total unique visitor reach of all of your websites and/ or apps. In other words you can determine the total number of unique people you are reaching to through your websites, apps and/or marketing campaigns. #1 By using multiple trackers on each page of your website. Let us call this method as ‘Standard rollup reporting‘ for easy reference. 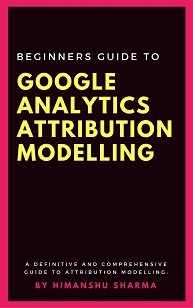 #2 By using Google Analytics Premium. Let us call this method as ‘Premium rollup reporting‘ for easy reference. In this article I will explain both of these methods in great detail as well as outline their pros and cons. 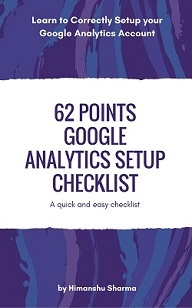 Google Analytics Set-up for business owners who own only one website. 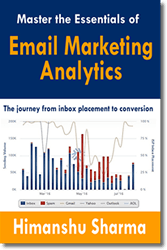 Google Analytics Set-up for marketing consultants/agencies. 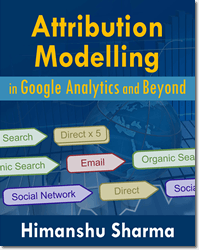 Unless you are a marketing consultant or an agency, you are most likely to have only one Google Analytics account and one property. If you have got multiple Google Analytics account then each account is usually meant for one company/client. A GA account can contain one or more properties. A property (also known as digital property) can be a website or a mobile application. We usually create one property per website/app. But in case of rollup reporting we may need to create multiple properties for a single website. Each property is identified by a unique ID known as property ID. 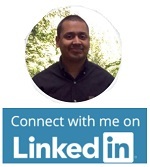 A property Id is in the format: UA-12345-21. A property can contain one or more views (also known as profiles). A view contains all/segmented data of a digital property. Each view contains multiple reports for a property. So whenever you are looking at Google Analytics data, you are actually looking at one of the reports of a view and this view belongs to some property. Note: If you see the symbol ‘P’ next to a property then it means it is a premium property (available only to Google Analytics premium users). You work with rollup account/property in the same way you work with any other GA account/property. So you can also create several views in a rollup property and these views are knowns as rollup views. 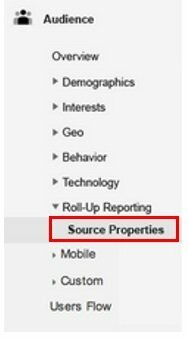 It is the presence of rollup property which makes rollup reporting possible in Google Analytics. All of the reports in your rollup property show data that is aggregated from several source properties. So in rollup reports you see collective acquisition, collective behavior and collective conversion data for all of linked source properties. For example lets say you have got two websites: website A and website B.
Website A got 100 visits and Website B got 200 visits. Website A got 10 conversions and Website B got 20 conversions. Now your rollup property (which includes traffic data of both website A and Website b), will show total visits (i.e. 100+200 = 300) for both websites in its default view. 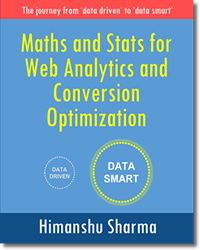 Similarly, you will see total conversions (i.e. 10+20 = 30) for both websites in your rollup property’s default view. Rollup properties are listed along with your other properties on the admin page. The advantage of using rollup property is that, you don’t need to export data from different web properties and then aggregate them offline via spreadsheets in order to measure the overall performance. A rollup property can do all of these tasks for you automatically. Before you actually setup rollup properties, you need to plan out in advance how the rollup properties structure should look like. This structure will depend upon the number and type of digital properties you own and your measurement requirements. Tracking object (also known as tracker) is used to send traffic data to a Google Analytics web property. You can not send hit data to a GA property without first creating a tracking object. ga(‘create’, ‘UA-12345-67′, ‘auto’); // send data to the web property whose ID is ‘UA-12345-67’. If you remove the highlighted code from your tracking code, then Google Analytics won’t be able to send any hit data to your web property and you won’t see any data in your reports, going forward. Note: ‘auto’ is not the name of the tracking object. The default tracking object has got no name. If you want to send data to multiple web properties from a single web page, then you need to create and use multiple tracking objects on the same web page. Note: A tracking object represents a web property. Sending data to multiple properties from a single web page is the primary requirement for setting up rollup reporting. Step-1: Gather measurement requirements and then plan the structure of your rollup property. Step-3: Note down the property ID (also known as tracking ID) for your new roll up property. You will need this ID later in order to set up rollup reporting. Step-5: Copy-paste the modified Google Analytics tracking code to each page of your website and then check the real time reports of the default view in the rollup property to make sure that it is getting the traffic data. Also check the real time reports of the default view of the source property to make sure that it is still getting the traffic data. Congratulations you have just implemented rollup tracking. But unfortunately this is just the beginning and more or less a baby step towards rollup reporting. In order to full implement rollup reporting, you need to share much more than pageview data with the rollup property. You need to update all of your event tracking code, ecommerce tracking code and any other additional tracking code used on the source property’s website. ga(‘rollupProperty.send’,’event’,’Profitable Engagement’,’time on page more than 3 minutes’)”,180000); // send event hit to the rollup property. Step-6: Repeat step 4 and 5 for each source property. Step-7: Create and apply a new filter in the rollup property’s default view, through which you can view the full page URLs in your rollup reports. You need this filter in order to differentiate between web pages of two different websites. #1 De-duplication of unique users is not possible in case of standard rollup reporting. What that means is that, you can’t see total unique visitor reach of all of your websites and/ or apps in a rollup view. #2 You need to re-tag several websites in order to set up roll up property. 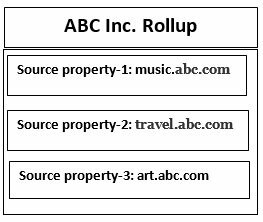 #3 You can not automatically share the data imported to a source property with the rollup property just by using multiple trackers. 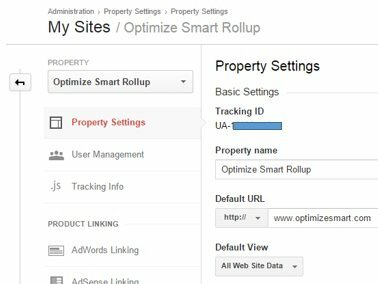 In other words, a rollup property does not automatically include either the data you manually imported into source properties (like cost data, user data, product data, custom dimensions or custom metrics) nor the data your source properties inherited by linking to corresponding Adwords, Adsense, google webmaster tools etc. If you want imported data of various source properties in your roll up property then you need to link your rollup property to all the linked accounts of your source properties. So if one of your source property is linked to an adwords account then you also need to link that adwords account to your roll up property. Similarly you need to import all of the data you manually imported to various source properties, to your roll up property. Lot of work. I know. #4 You can’t evaluate the performance of multiple source properties side by side. #5 Your rollup property won’t collect data retroactively from the source properties. If you want to overcome all of these limitations then you need to use Premium Rollup Reporting. If you are using Google Analytics premium then all you need to do to set up rollup reporting is, to contact the GA premium customer support. They can create new roll up properties for you. They will ask you details like account number, time zone, the number of rollup properties you want to create and the source properties you want to include in your rollup properties etc. Note: You won’t find a button like ‘create roll up property’ in your premium account. Once the roll up properties are in place and you have got the ‘edit permission’ at the rollup property level, you can manage a rollup property (i.e. 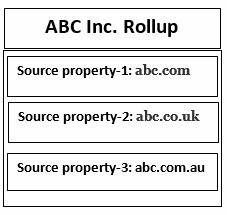 add or remove individual source properties or change the display names of the source property) by going to Admin and then clicking on the ‘Rollup management’ link under the ‘property’ column. #1 Premium rollup reporting allows de-duplication of unique users. What that means is that, you can see total unique visitor reach of all of your websites and/or apps in a rollup view. #2 You don’t need to re-tag several websites in order to set up roll up property. Although re-tagging is still required but now it is the headache of the GA premium team and not yours. #3 Premium rollup properties also don’t automatically inherit the data which was imported to source properties. 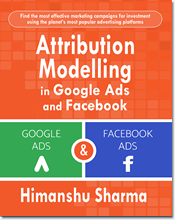 This data includes the data you manually imported into source properties (like cost data, user data, product data, custom dimensions or custom metrics) and the data your source properties inherited by linking to corresponding Adwords, Adsense, google webmaster tools etc. If you want imported data of various source properties in your roll up property then you need to link your rollup property to all the linked accounts of your source properties. 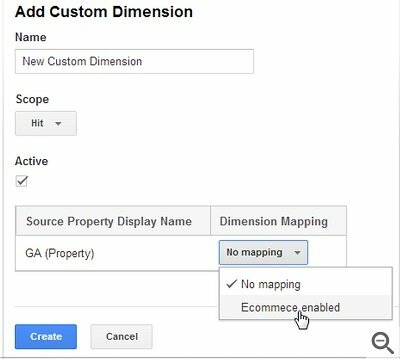 Through dimension/metric mapping you can easily inherit custom dimension/custom metric data from source properties into your rollup account. 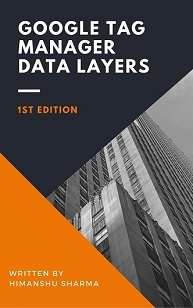 However you dont need to worry about uploading imported data of various source properties to your premium rollup property or carrying out dimension/metric mapping. Your GA premium account manager can do all of that for you. Note: Dimension/Metric mapping feature is available only to GA premium users. 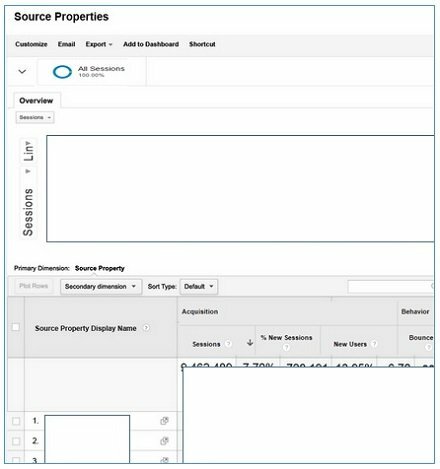 Through source properties report you can compare various brands and/or business units websites to each other and determine which are underperforming or outperforming. The primary dimension for this report is Source Property Display Name . Note: Source properties report is available only to GA premium users. 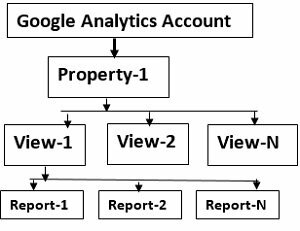 #1 You can aggregate data from only those source properties which belong to the same GA account as the roll up property. 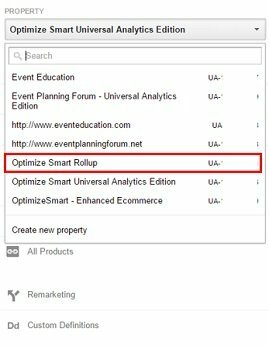 So best time to set up a rollup account is when you are implementing Google Analytics for the first time on your website. #2 You can not use a premium rollup property as a source property for another premium rollup property. #3 Premium rollup properties don’t collect data retroactively from source properties.